With the goodness of 24 hour moisture lock formula,Oriflame Happy Skin range fights the skin problems associated with the tough winter, leaving behind soft, supple and smooth skin with an invigorating scent all day long. Infused with Linseed Oil, this mild body lotion is developed specially for sensitive skin. Its gentle formula ensures an irritation free experience, leaving behind noticeably softer and smoother skin. This fast absorbing body lotion treats normal to dry skin and leaves it moisturized and hydrated. It has been formulated with Sesame Oil that helps soften the skin, giving it a lingering smoothness. With the intensive formula of Pumpkin Seed Oil that targets dry and rough skin, this body milk is an absolute must have for the dry winter. It offers lasting nourishment while conditioning the skin. Created for the modern woman, who wants to make an instant statement without damaging her eyelashes, this innovative product increases the length of the lash instantly. The brand’s first mascara with the boosting effects of Pro Long ComplexTM, Oriflame Hyper Stretch Mascara stimulates Keratin production and compliments the natural growth cycle of the lashes to make them grow stronger and healthier in just 4 weeks*. A perfect combination of the ultra elastic formula and lash extending fibre brush, the mascara instantly lengthens each lash by upto 65% with a precise definition and separation. The easy-to-work applicator delivers a smudge and flake free stay throughout the day, which can be applied daily without worrying. Oriflame Hyper Stretch Mascara is a wondrous product which comes in a compact cylindrical bottle that fits perfectly into one’s handbag. Availability: Contact your nearest Oriflame consultant or SMS Oriflame to 59994. 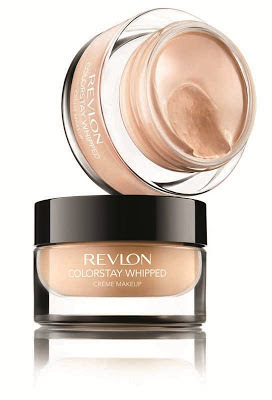 Smooth, silky texture of ColorStay Whipped Crème Makeup blends right into your skin, with no heavy or cakey feeling. The formula, containing silk and botanicals, goes on silky smooth withcoverage you can build to even out skin tone. Presented in a sleek glass jar, the luxurious crème makeup leaves a soft matte finish that will enhance any complexion. 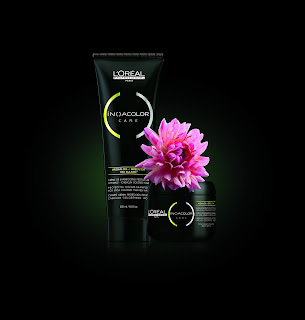 L’OREAL PROFESSIONNEL’s INOA COLOR CARE RANGE. The INOA Color Care Range is an at-home follow-up treatment recommended by leading hairstylists, entirely dedicated to maintain your hair color and protect your hair from damage. It protects the natural lipids of your hair, making them look alive and vibrant. What product are you looking forward to?